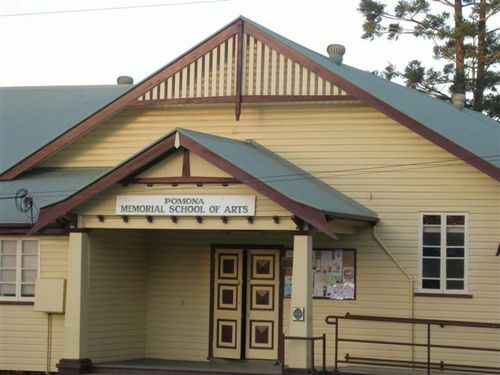 The Pomona Memorial School of Arts was erected to commemorate those who served in World War One. The Memorial School of Arts was officially opened by the Lieutenant- Governor, the Honourable William Lennon on the 4th September 1926 in front of a large gathering. Mr J. Aird briefly outlined the history of the hall which dated back to 1922. In the early development of the project a queen competition was held and the sum of £300 was raised and this sum was augmented by various kinds of entertainment. However in the last 6 months, the ladies auxiliary committee manage to raise the balance of the funds required to erect the hall. The contractor for the hall was Mr W. Wardrop and the foundation work for the portico had been carried out by the Reverend R. St. George. The total cost of the hall was £564/10/- and the building was debt free.